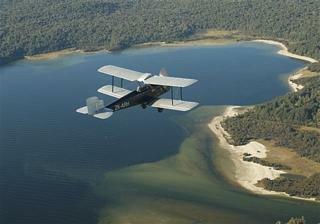 The owner of a rare Simmonds Spartan II 1930s biplane wants to sell his aircraft, and ideally he’d like to see it return to the Isle of Wight, where it was built. The Spartan 3-seater was built at Cowes in June 1932, after Simmonds aeroplane production was moved from Southampton. Alliot Verdon Roe of Saunders-Roe had taken over Simmonds Aircraft. Given the registration number of G-ABYN, serial number 102, it is the last surviving plane of its type and engine, anywhere in the world. During its lifetime it has passed through several owners and was based for a while at Heston, then Hedon, before being sold to R. A. Clark in 1938. Its home from then on became Tipperary, Ireland and it was re-registered as EI-ABU. With the outbreak of war in 1939, Clark stored the Spartan in a sawmill. There it languished until 1992, when it was moved back to England. Then it was sold to New Zealand. In 1994 current owner Rod Hall-Jones registered it as ZK-ARH. It needed complete restoration. This was finished in 2004. Rod insists the aircraft is not a replica. Most parts of her were reused. Date stamps and original placards are visible. The Cirrus Hermes IV engine has been stripped down, is in good condition and refitted. Rod is a helicopter pilot. In a long and varied career, he spent seven years working as a team member of the world famous oceanic film making Jacques Cousteau Society. Rod’s job was to fly the helicopter for filming of Cousteau’s equally famous boat Calypso. 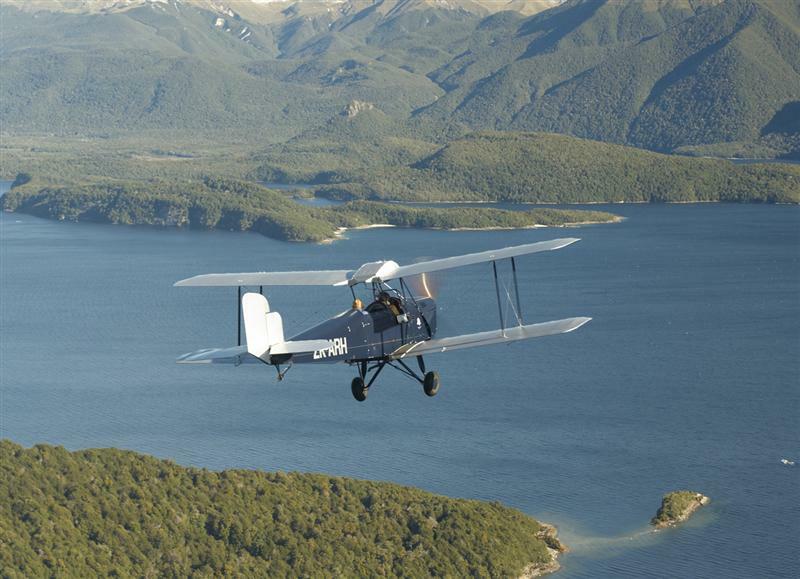 Rod has spent a lot of money restoring the Spartan to its former glory, as these stunning photos of ZK-ARH airborne in New Zealand testify. He has enjoyed owning ‘the old girl’, as he affectionately calls her. But he says it is now time to move her on to new owners. Rod would prefer that she became G-ABYN again by finding a buyer in England. By choice, he’d like the Spartan to come back to the Isle of Wight. 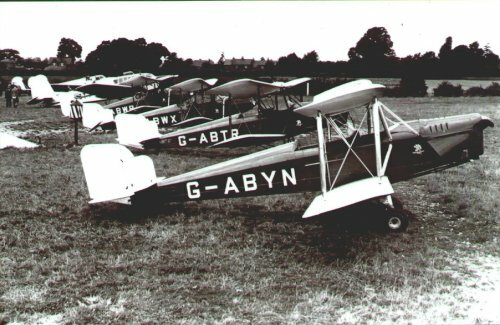 Rod has supplied this wonderful historic photograph of G-ABYN at Somerton Airfield, Cowes open day. The ‘old girl’ is lined up with two more Spartan Three-Seaters and Spartan Arrow G-ABWP. 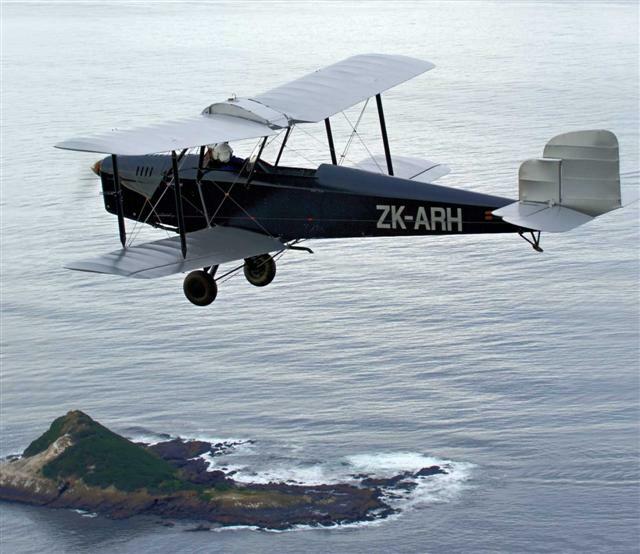 Both of these aircraft types were made famous by the now legendary 1930’s aviatrix duo Pauline Gower and Dorothy Spicer. With the revival this year of the Dorothy Spicer Memorial Award, in the new guise of a student award, by IW Studio School and their aviation sponsors, interest in this long ignored area of Island history has been re-awakened. Is there anyone, individual, or business consortium who can fund this, perhaps under a charitable status, on the Isle of Wight ready to step forward to preserve this unique piece of Island history? Surely this Spartan is a perfect candidate for Heritage Lottery Funding? With pension pots about to be unlocked, is this an opportunity to invest in an iconic Island aircraft that will appreciate in value? Rod will consider any reasonable offer. The Island proudly hosts the steam railway museum, classic boat museum, military vehicle museum and bus museum. An annual Classic Car Rally is staged. The one form of transport history missing from the landscape is the Island’s rich history in aircraft manufacture.Valiant efforts are made by local history groups to display photographic exhibitions of IW aircraft manufacturers and airports. So there is no lack of aviation memorabilia. But what are missing, are a few exhibits of the actual, physical aircraft. With Bob Wealthy and his enthusiastic group of volunteers, the Britten-Norman Aircraft Preservation Society, currently restoring B-N Islander G-AVCN, and Rod Hall-Jones wanting his Spartan G-ABYN to return to the Island, surely the time is right to start an IW Aircraft Museum. Word has now reached Ottawa, Canada about the dream of an Aero Museum for the Isle of Wight. Read here about a centenarian who sends his support!